Show the love you have for your four-legged, furry friend with this must-have accessory. 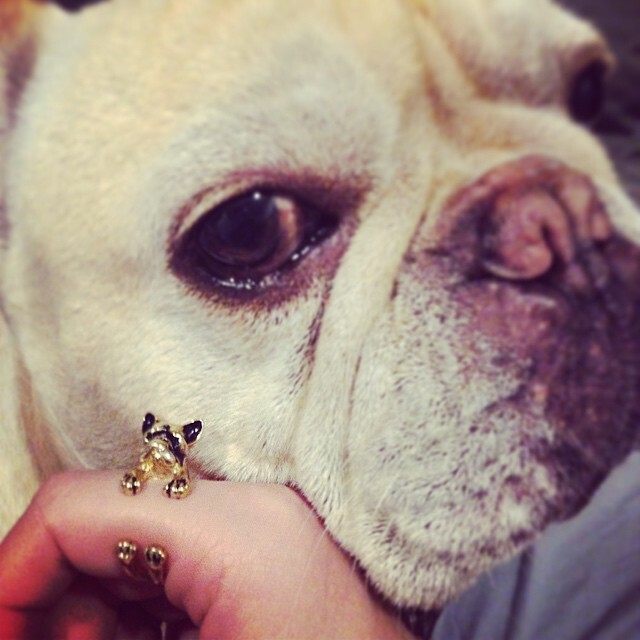 This ring is made in the shape of a French Bulldog that wraps around your finger. 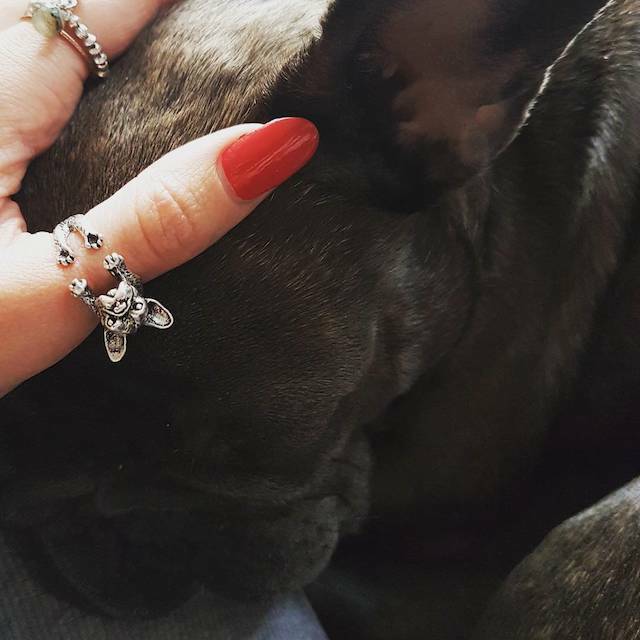 French Bulldog owners will cherish this ring and have it on as a daily reminder of their loving pet. Beautiful keepsake. This ring is beautifully hand carved with stunning detail. 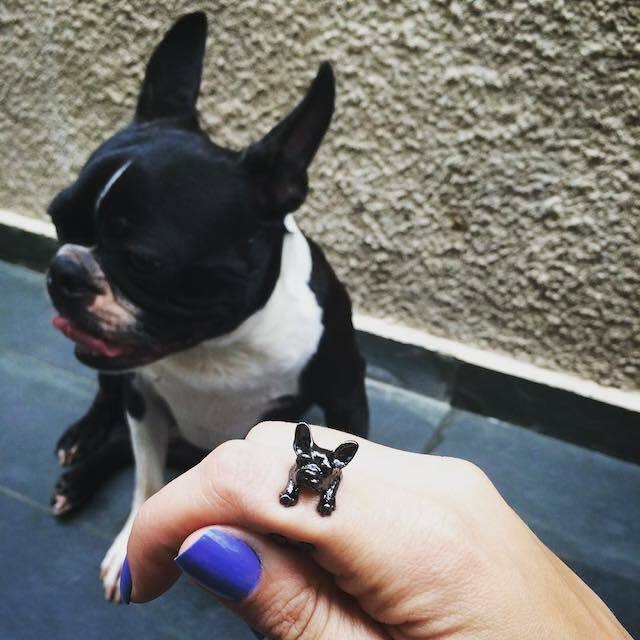 As dog lovers and owners, we know you want to take your furry friend everywhere! 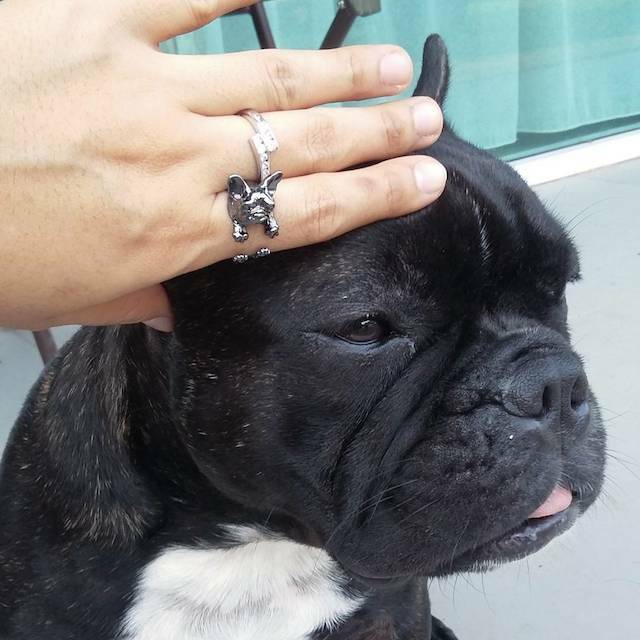 We designed the ring so he can be with you on all your adventures! Quality material. This ring is made of safe alloy with antique plating that lends it a regal touch. Fully adjustable. 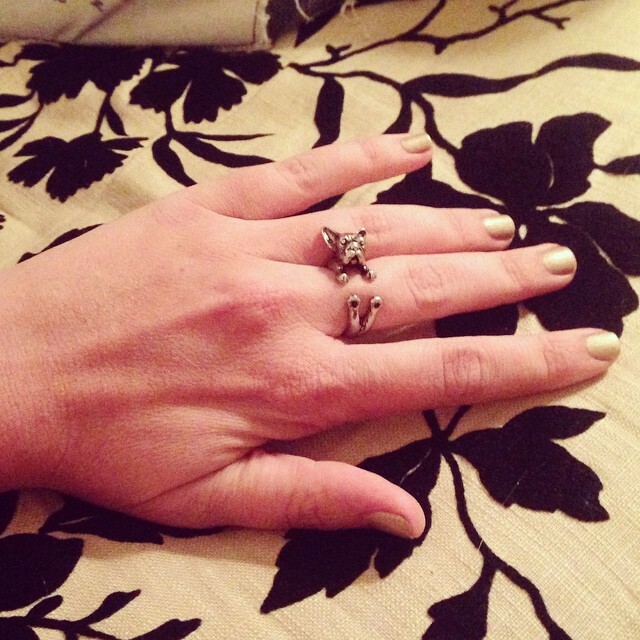 This wrap ring easily adjusts to sizes 5-7. 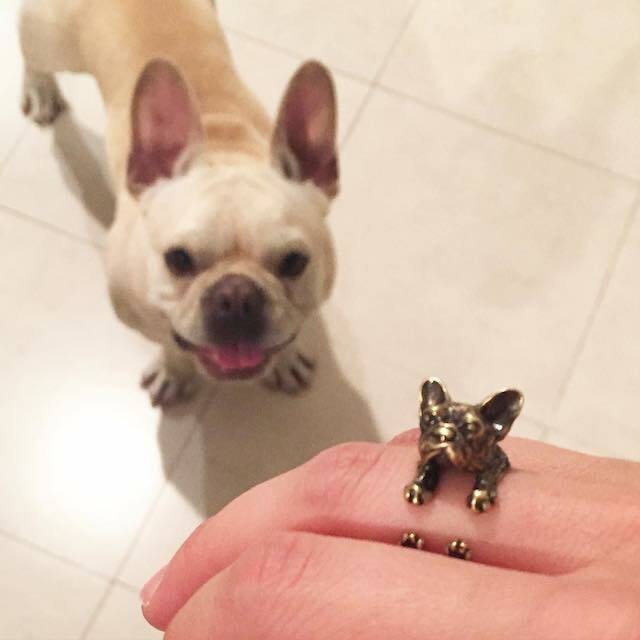 Show the love you have for your four-legged, furry friend with this must-have accessory. 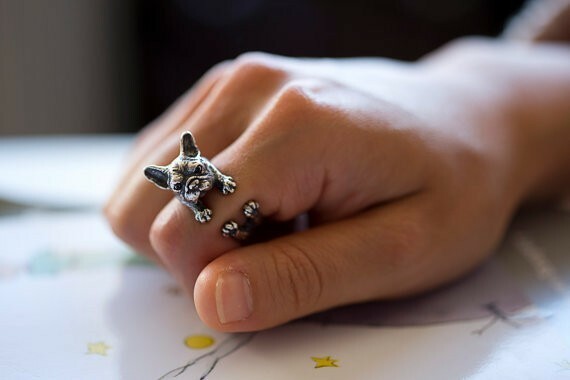 This ring is made in the shape of a French Bulldog that wraps around your finger.